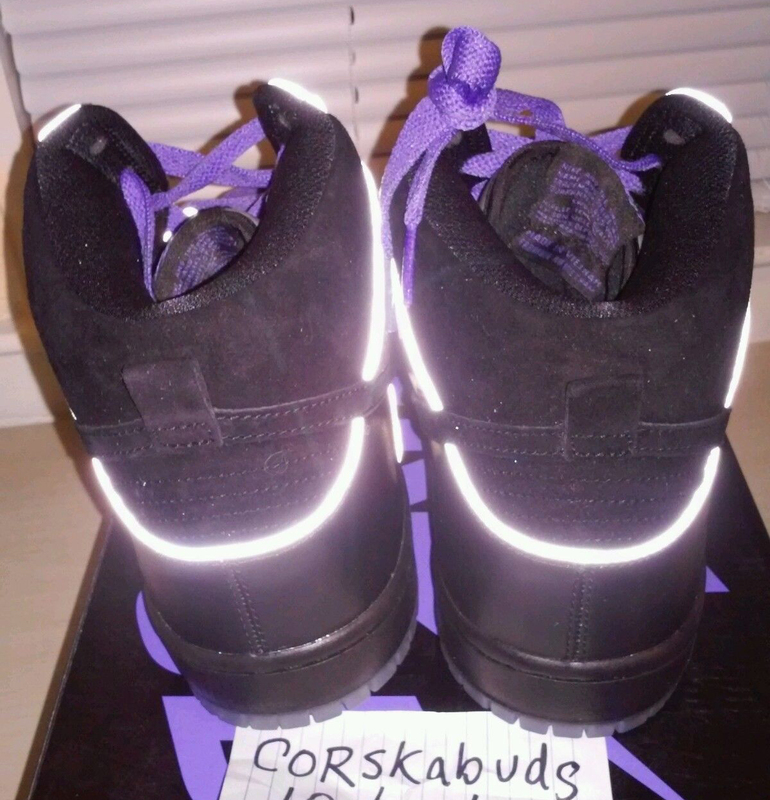 First look at the "Purple Box" Nike SB Dunk High. What else does Nike SB have in store for its run of shoes that references old boxes from bygone eras of the Swoosh skateboarding imprint? 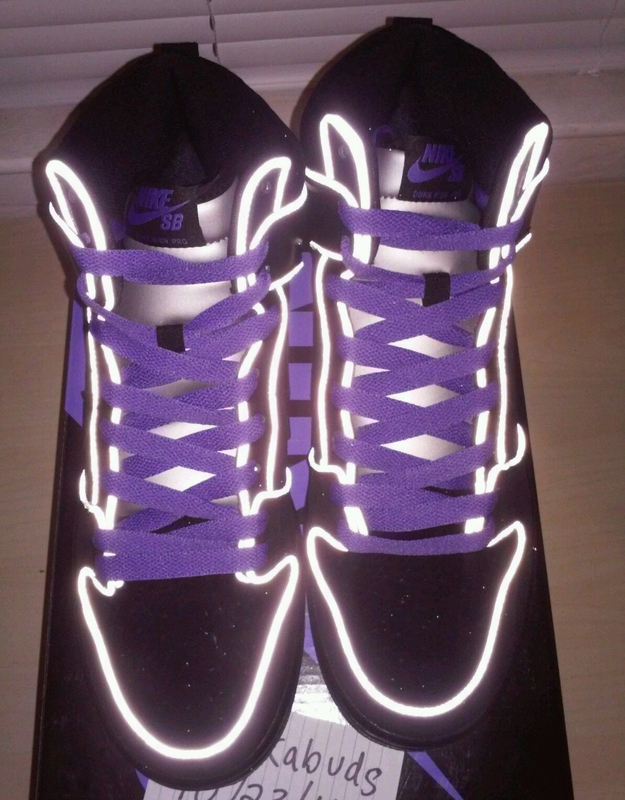 Also in the works is this, the "Purple Box" Nike SB Dunk High tied to the run of packaging from 2006 to 2007. 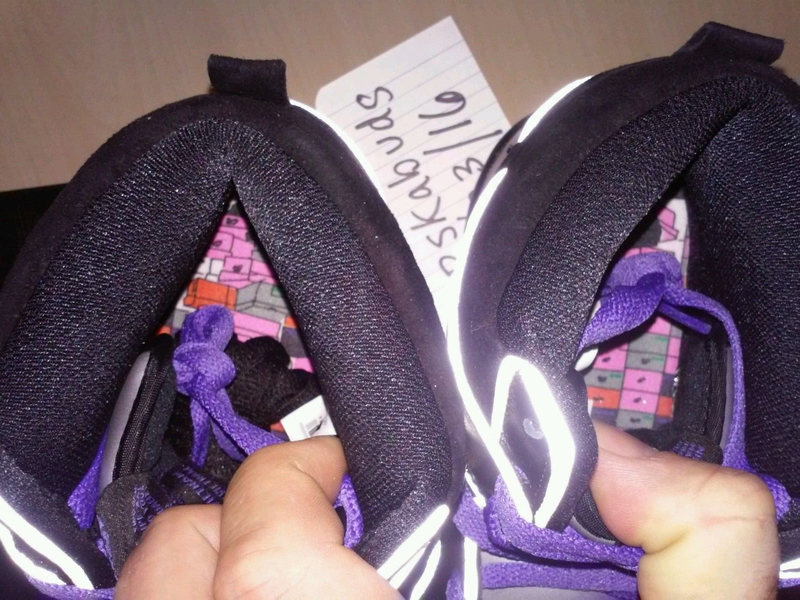 The shoes are mostly black with purple laces. Materials include faux ostrich leather and 3M detailing on the piping that already has them drawing comparisons to the MF Doom x Nike SB Dunk High. 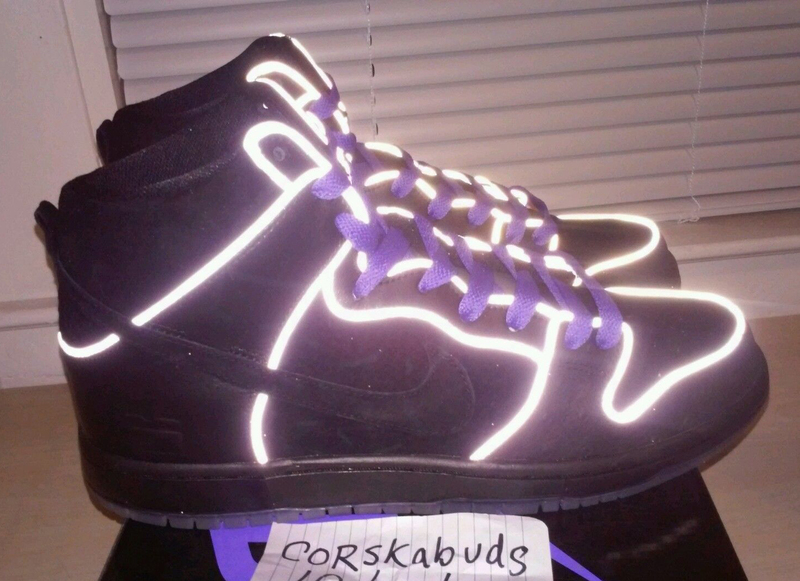 This Nike SB Dunk High isn't available at retail yet, but there is at least one pair on eBay. Nike SB started this series with its "Orange Box" retro and will follow it up with silver, pink, and purple pairs.